An agreement has been made between Tanzania and Rwanda to lower the toll rate at the Rusumo border. Rusumo boarder is an important corridor connecting Tanzania, Rwnda, Burundi, Uganda, and the Democratic Republic of the Congo. Previously, Rwandan trucks crossing Rusumo were charged $500USD, and on September 1st Rwanda responded by increasing the toll on Tanzanian trucks to $500USD as well. In negotiations this week however, both countries recognized the high toll would result in continued trade losses, as such they mutually agreed to lower it to a $152USD flat rate. Dr. William Mgimwa, Tanzania’s Finance Minister, remarked that Tanzania would not loose money due to the decrease because the new flat rate will also be imposed on small vehicles, which previously paid a low rate, thus balancing revenues. 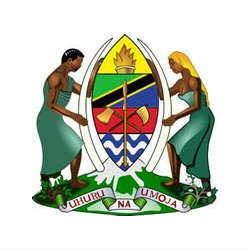 It is estimated that 200 to 300 Tanzanian trucks enter Rwanda daily, with only 20 to 30 Rwandan trucks entering Tanzania.